While I'm not sure it's nice to make fun of these, some are so bad that they might not be kids entries, but a form of trollism - sometimes I wish I knew the story behind their existence. Just like bad movies, they're so bad they're good. And hey, they're what pollutes Lego Ideas, they asked for it. -> if you've browsed the latest batch, you probably had the same reaction as I had when you saw it. I would assume trollism, but I'm not sure. As read in the comments: "Nice job! It looks fantastic. I love the face!" -> asking Lego to release a set on Milly Vanilly, that's fine trollism, I respect that. It also looks as bad as possible. -> took me time to realize that the frog wasn't the mech, there is a frog inside the capsule. I quite enjoyed the MS Paint background & shadow. -> ok this one looks bad like many, but it's the description that makes it a gem. "I came up with an UFO because I think UFOs exist. I make this UFO design to represent what it looks like." -> Dinotrux. It's a dino, it's a truck robot! -> picture a Rubik's cube that wouldn't move. That's the Multicube! -> "It is based off of Thomas Edisons lightbulb." -> I enjoyed the shot to appreciate the details of the hound from the back. Judging by the theme, made by an adult? -> who said you needed wheels? -> "I was washing dishes and I saw the blades for a food processor"
I didn't search very deep, there are a lot more hidden gems. My IQ has taken a hit after seeing all those ideas. Some I think originate with innocent natured children, some from good natured but not very Lego talented adults. I don't really want to criticize them harshly, just tell them "thanks for trying" and let their idea sink into oblivion. But some were just TROLL TROLL TROLL!! Oh that Gaza Pyramids and the Edison Lightbulb, LOL in all the wrong ways! I once saw an idea on Ideas to make a set based on "All about that Bass." One of the most What the Crap?! moments I've had on Ideas. Lego really needs to make their filtering process stronger. 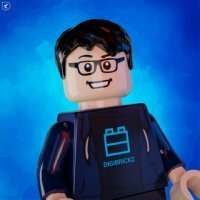 It feels like Lego Ideas is becoming MOCpages/Brickshelf 0.5 (yes, by 0.5 I mean it is a step backwards). For every great project like Wall-E, there are 10000 horrid LDD "made in 5 minutes" models. Dear god that car thing is ugly... who needs actual LEGO when you can make modern art with Build With Chrome? Nice :) You just made me supporting the pyramid thingie :) Cmoon, that Sphinx is epic! Anyway, that Giza Plateau is using some clone brand because i see there are no LEGO logo on the studs and has different color of the real LEGO bricks, see on the top right of that Sphinx. As for the Giza plateau, it certainly is eligible since they could in theory use printed bricks to assemble the face. This is ridiculous. He's expecting Lego to release a 16,000 piece set of R2D2, not even a popular vehicle or ship. It's 5 times as large as the largest Star Wars set ever released, the 10179 Millennium Falcon, would likely cost 6 times a much, and he somehow expects this to make it through review and be released, even if (and quote) "It's a limited edition set for $2000, enough Lego fans in the US would pay that much." So A, being licensed it won't make it, B, it's 20 times larger than the largest Lego Ideas set ever released, and C, he's spamming Lego Ideas with it. He's had over 15 updates in the past 3 months, each one of no substance. Just "Thank you for supporting me! If Artoo could do it, this can too! Hit the vote button!" He even has updates asking people to subscribe to his Youtube channel and Facebook page. I think they're both sides of the same coin. There are the ridiculously large expensive projects (Like R2D2 and Rivendell), and then there's the super low effort projects with minimal execution like the ones above. 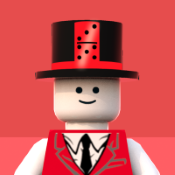 Lego really has to fix Ideas, it really has turned into a MOCPages/Brickset 0.5 Add some guidelines, like a min/max set size, a more rigorous submission system, no licensed sets, and a category system to make it easier to find builds. If they did these things, Lego Ideas would be a lot better. We don't need a dozen different Tumblers and generic car builds. Clicked this thread expecting a lot of backlash and how we shouldn't be doing this. But, to my surprise, there's not.. that! I have seen a lot of things... a lot of bad projects. Too many to make a list. Shame on you for hating on this. This is clearly an important artistic expression. This man likely put in entire days to create this masterpiece, and his effort has clearly paid off with you noticing his project and sharing it. You're playing right into his hands. This project will be at Ten Thousand in no time, quote me. Are they 1x1 tiles stacked on top of each other? The multicube made me think of a possible useful set - a lego color palette. Tiles of every color printed with their names and a backer that could be hung on a wall or stood on a desk. I think they're both sides of the same coin. but half of the projects that passed are based on licenses - why would Lego then forbid this? https://ideas.lego.com/projects/140578 - we just got a set just like this, and we just got the Assault on Hoth set. Why? Besides being a rearrangement of Hoth Attack, it has the same fundamental problem Assault on Hoth has: the snowtroopers are hopelessly outnumbered in each set. This is not a characteristic of the Empire. Too bad he did not invent a snowtrooper battle pack instead. Something like that would help boost the Imperial ranks a bit. Oh, I don't think he's expecting them to do that at all. He's trying to make it happen, sure, but he knows full well it's profoundly unlikely. He means pre-existing licenses. IE Star Wars, LoTR, Marvel, DC, etc. I think TLG has said they won't make Ideas sets off of pre-existing licenses (Maybe? I don't follow Ideas too closely). They will, however, take out new licenses for Ideas sets (BTTF, Ghostbusters, Minecraft, etc.). Because Ideas is out of ideas.